Orangutan House in Melaka functions as Charles Cham’s studio. If you visit Melaka, and I really think you should – You will need to go visit Charles Cham at the “Orangutan house”. Charles is an artist who creates beautiful paintings and in addition to this, he also designs and sells t-shirts in his studio in the “Orangutan house”. Charles got his inspiration to paint when he at 5 years old watched a movie about a painter with a magic brush. As soon as he got home from the movie he started drawing and painting and never stopped. Charles worked as an editorial artist in Kuala Lumpur fo a few years before he one day decided to go to France to paint. Charles became a member of “Association des Artistes Indépendants Aixois“, he exhibited at the Salon des Independants in 1990 and 1991. 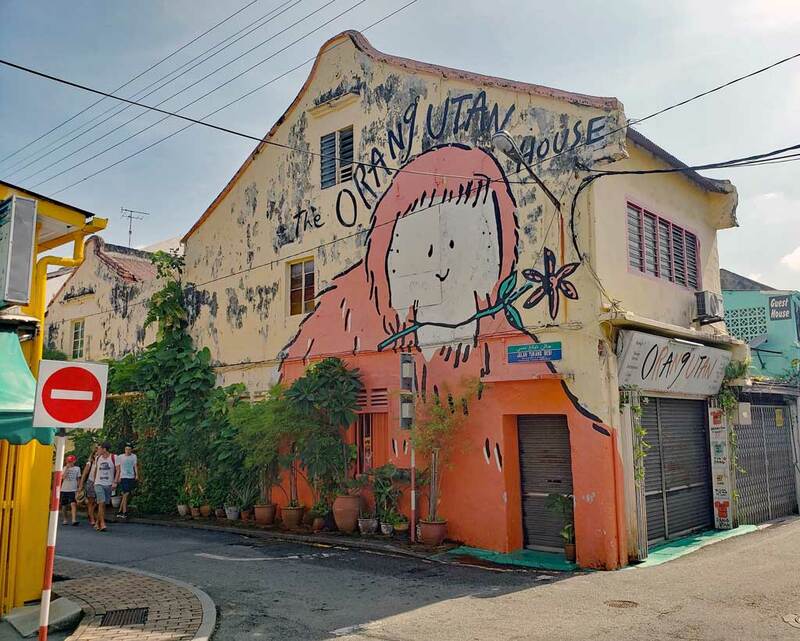 He returned home to Melaka Malaysia in 1991 and set up his studio in the old part of town and named it “The Orangutan House”. Charles takes a picture of you and the art you buy for use on his facebook page if you consent to that use. Charles is a very nice person and if you want to talk art with him he is very happy to do so. He is a renowned artist around the world and has exhibited in places such as, Singapore, Hong kong, Bali, Australia, France, United Kingdom, Switzerland, Portugal, Hungary and Malaysia. His paintings are generally based on the philosophy of Ying and Yang – “the duality of life and the attraction of opposites”. 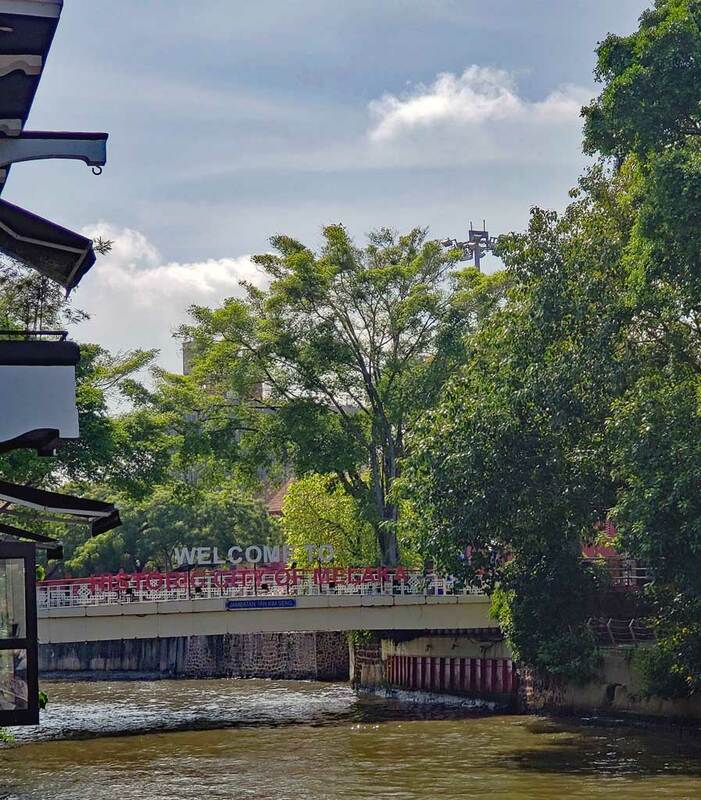 Melaka river runs through the beautiful city of Melaka.